Warsaw-based start-up uBirds has launched a Kickstarter campaign to raise funds for a leather strap that can be fitted onto any standard watch to add a range of smartwatch-like capabilities. The Unique strap includes a programmable NFC tag and Bluetooth Low Energy (BLE) technology that is used to link the watch to a user’s smartphone device. 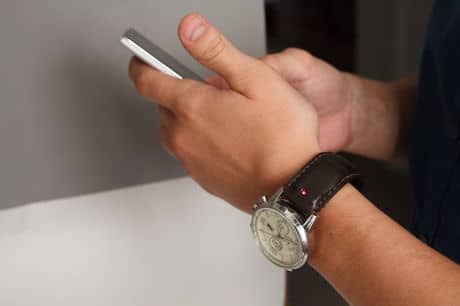 The NFC chip, uBirds suggests, can store a wearer’s business card or a pass to a fitness club, an office or hotel room to grant the user access to certain locations with a tap of their wrist. NFC payments will be added to Unique in the future if the Kickstarter campaign proves to be a success, uBirds told NFC World. “NFC functionality is built into our Unique strap, so we intend to add a contactless payment facility at the first opportunity,” co-founder Pawel Karczewski said. “It would mean that anyone with a traditional watch could replace the leather strap with one of our luxury leather straps, and it would allow them to make contactless payments as well as to store their Oyster card information, for instance. Everything depends on the success of our Kickstarter campaign. The Unique straps use LEDs and vibrations to alert the wearer to notifications, reject a phone call, monitor fitness and control a music player. “And, if you’re about to leave your phone behind, Unique will alert you as you walk away from it,” the start-up says. “We customise your watch strap the way you want it,” the company adds. “You can do it via the Creator section on our website which allows you to choose the colour, type of stitching, thread colour, number of loops, and even the shape of the metal buckles.